The product, the company’s answer to OKCupid or Tinder, first launched in Colombia in September after being announced at the F8 conference earlier in 2018. Facebook Dating doesn’t have its own app; instead, it’s nestled inside the core Facebook app. (The company says it currently has no plans to spin it out.) 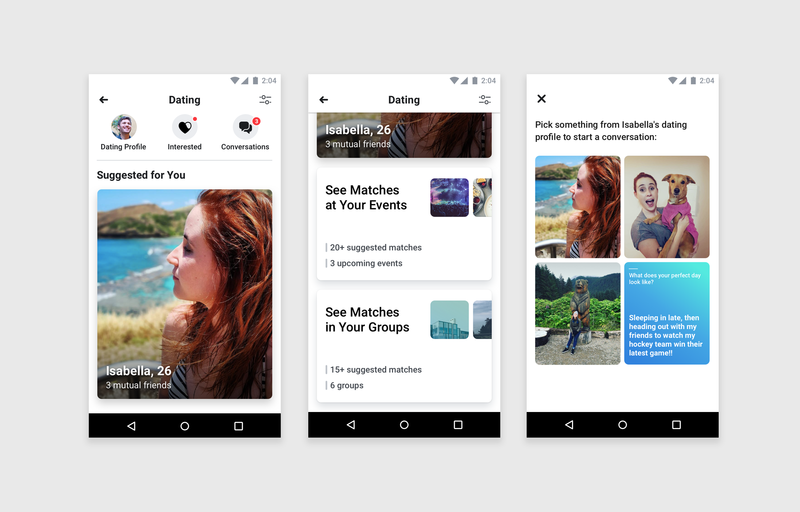 Facebook is positioning it as a way to find serious partners, rather than casual Tinder-like matches — and there’s no swiping and liking, which product manager Nathan Sharp likened to “speed dating” in an interview with Business Insider. It also ties into Groups and Events — with users able to opt into seeing other Facebook Dating users attending events they’re going to, or groups they’re a part of. “If you are active in communities on Facebook, dating becomes so much more interesting,” Sharp said. Facebook Dating is also adding two new features: The ability to temporarily pause matches, and the ability to take a “second look” at potential matches that you previously said no to. The launch and expansion of Facebook Dating is a risky move for Facebook, which is still reeling from successive data scandals, from Cambridge Analytica to a hack that saw around 30 million users’ personal data stolen. It’s also an open question as to whether users in countries like the US and the UK, where Facebook’s crises have been consistently headline news, will be willing to let the company into an ever-more intimate aspects of their lives. Sharp declined to provide any figures on how many Facebook users in Colombia have signed up for Facebook Dating, or how many matches there have been, but said there had been an “overwhelmingly positive response” so far. Facebook Dating launches in Canada and Thailand on Thursday, but users won’t be able to match with anyone right away, as Facebook waits for enough people to actually sign up. Sharp said there are currently no plans to monetize the service — either through adverts, premium features, or a subscription option.